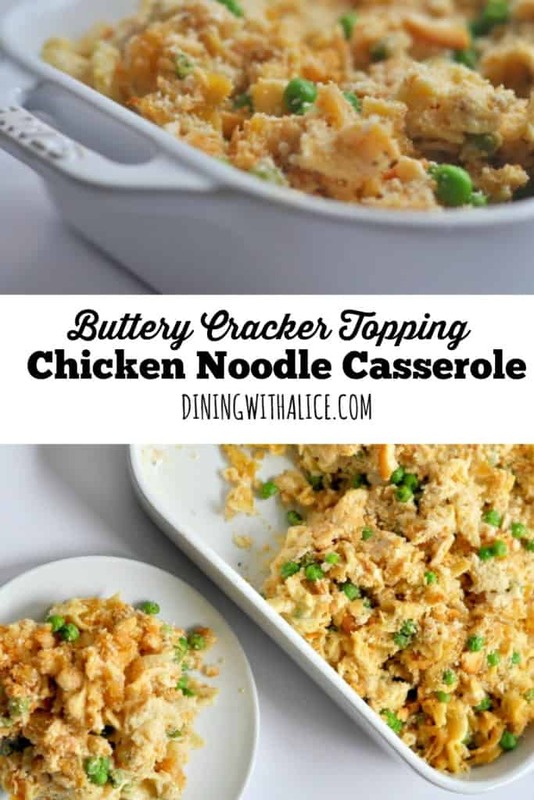 Easy Chicken Noodle Casserole recipe made with a creamy garlic and parmesan sauce, rotisserie chicken and topped with a buttery cracker topping. 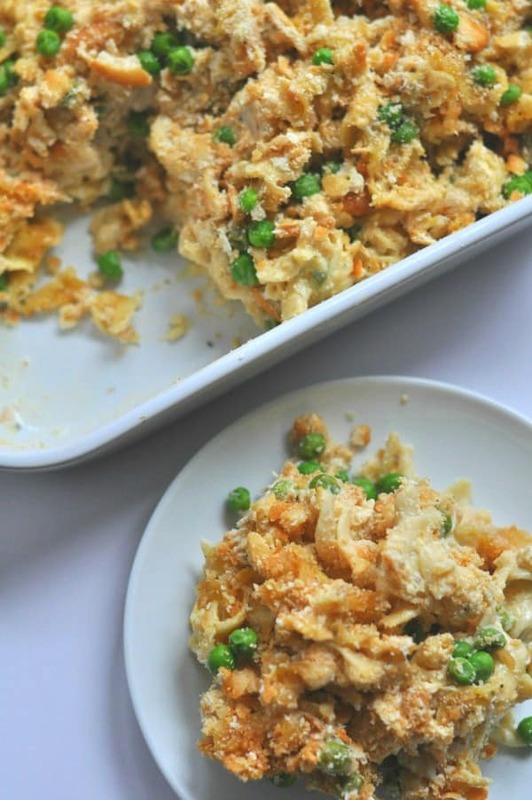 This super easy casserole is one of those comfort food classics the whole family will love. 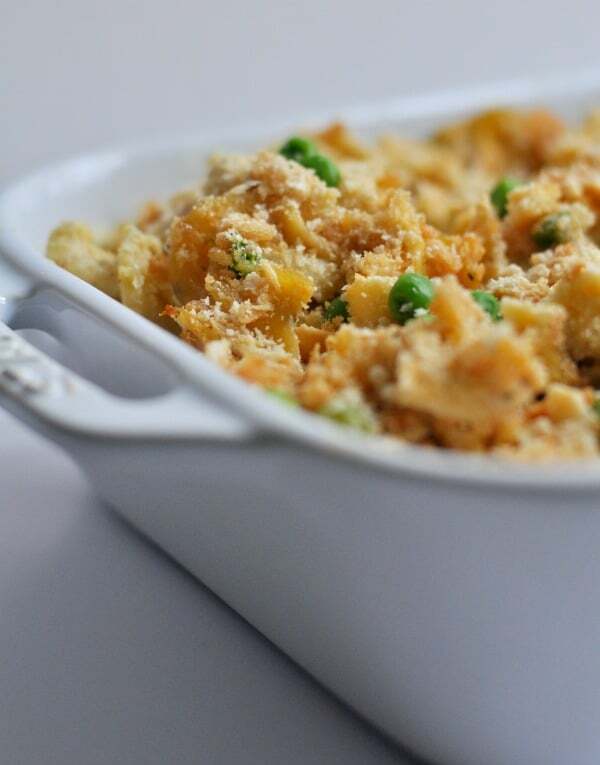 Bake this casserole on Sunday and enjoy the leftovers as an easy weeknight meal. 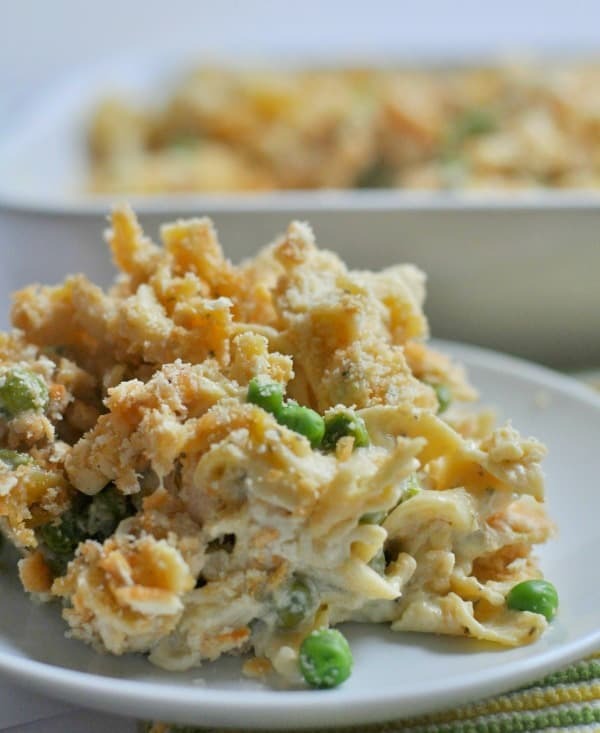 No complicated ingredients or steps, this Chicken Noodle Casserole is made with rotisserie chicken and combined with a creamy parmesan sauce packed with flavors of garlic and sage. 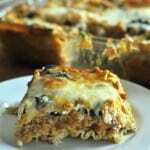 The casserole is topped with a buttery cracker crust and baked in the oven for an hour. 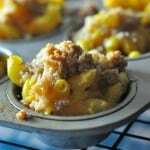 Quick assembly on a Sunday will leave you with yummy leftovers for the week that both kids and adults will love. Just like the spring weather in Minnesota, my kids reaction to meals is always a surprise. 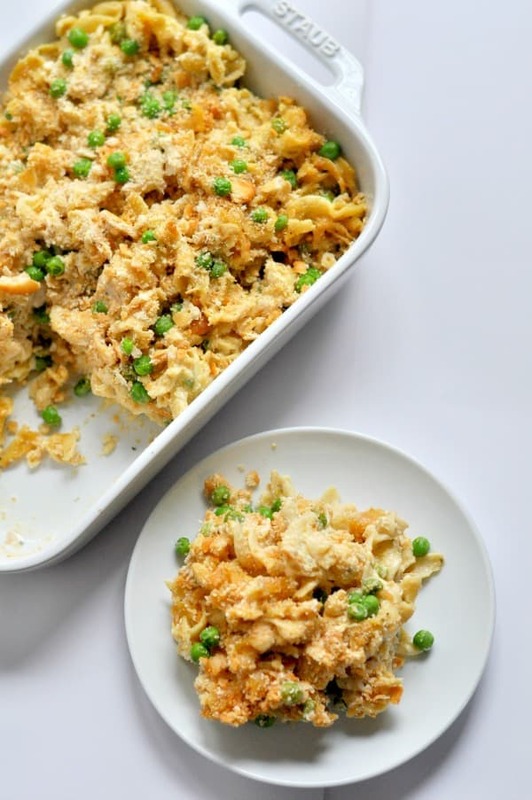 Casseroles can be a bit iffy for kids, there’s usually a green veggie hiding somewhere, it’s all mushed together so their senses are on alert and they are totally suspicious. 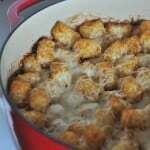 My kids go bananas for Chicken Tater Tot Casserole so I was pretty confident they would like a Chicken Noodle Casserole but who knows, right? 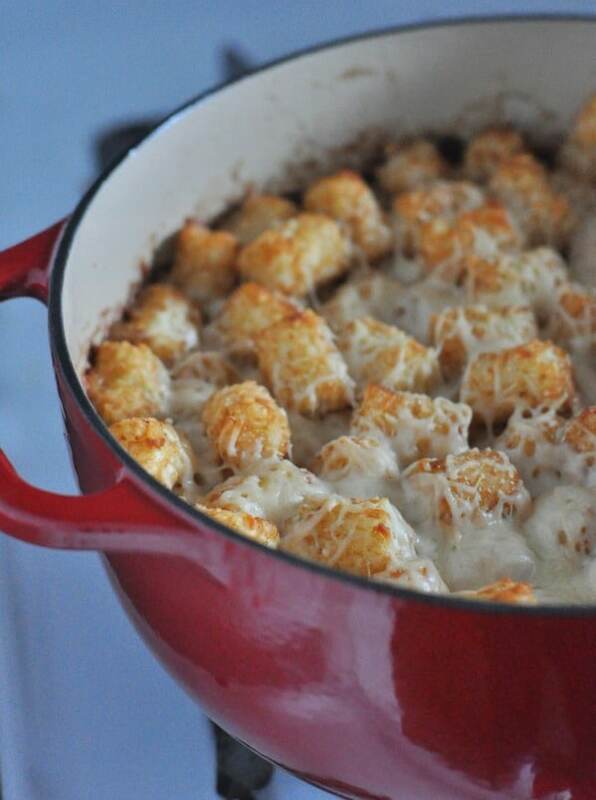 And since we can’t seem to jump into spring, a cozy casserole sounds perfect right now. 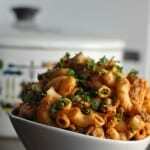 I made this recipe and the kids had seconds. And then thirds. The kids loved it. My husband and I loved it. It’s a keeper. 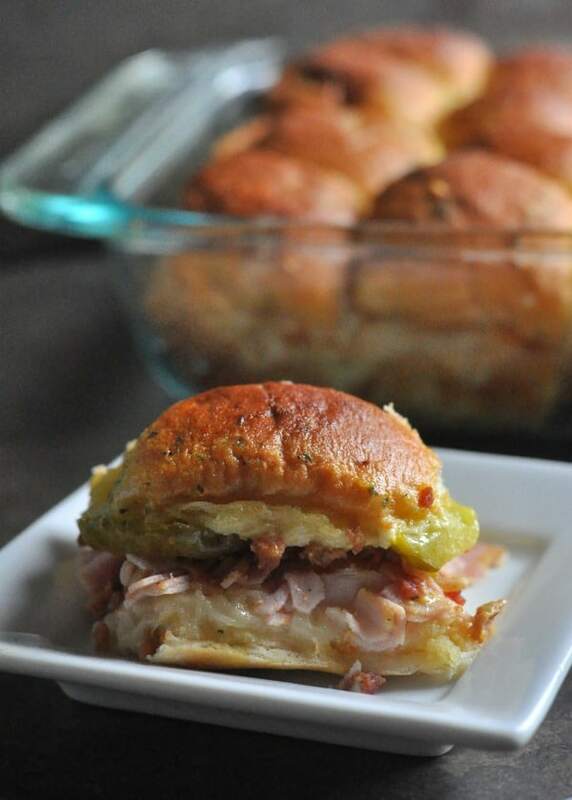 I always like to have a hearty Sunday night dinner so I like making this on the weekend and eat the leftovers for lunch or heat up as a fast weeknight dinner. Boil the noodles when you have time. You can store them with a little olive oil in the refrigerator. Sometimes I boil noodles for a recipe before I go to work to cut the cooking prep time after work. Watch your local grocery stores for Rotisserie chicken sales. Some stores have special days with a discount for purchasing rotisserie chickens and other stores offer discounts for buying cold chickens. Buy the chicken when it’s on sale and pull the chicken and store in your freezer for future use. 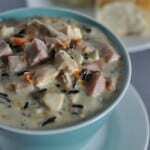 Want more freezer meal tips and recipes? Check out my book, Freezer Meals for Moms. In a large bowl combine the cooked egg noodles, cream of chicken soup, sage, garlic salt, Italian seasoning, black pepper, parmesan cheese, cooked chicken, peas and half and half. Lightly mix until combined. Spread mixture in a 9x13 pan and top with ½ tsp salt. 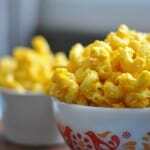 Combine melted butter and crushed crackers. Spread crushed cracker mixture on top of the casserole. Cover dish with tinfoil and bake 45 minutes. 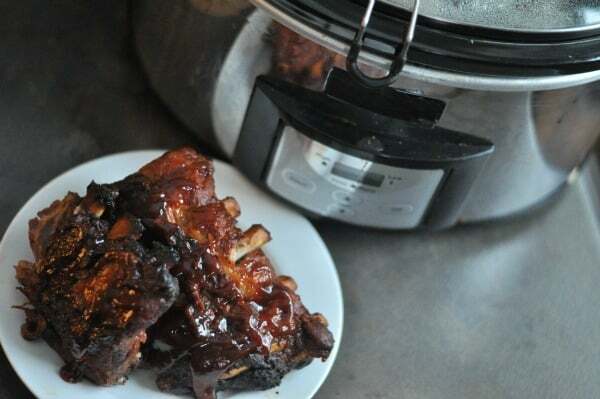 Remove tin foil, return to oven to bake an additional 15 minutes. 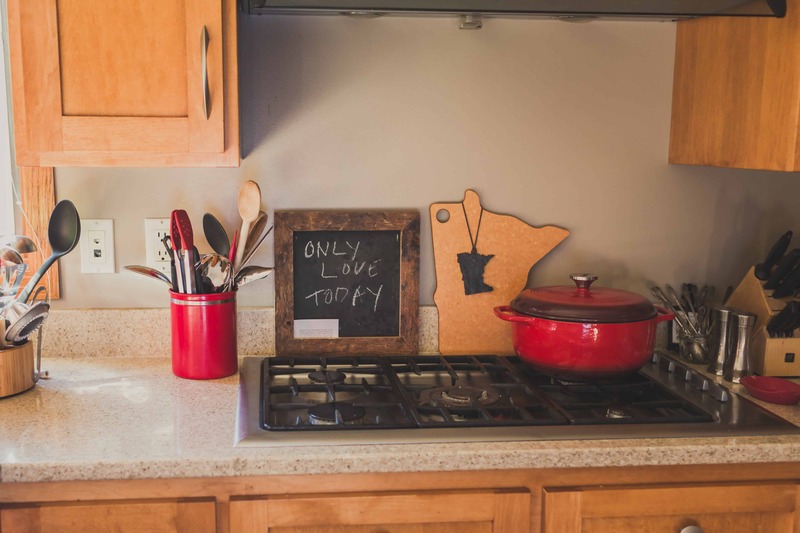 This entry was posted in Comfort Foods, Kids, minnesota, Weeknight Meals and tagged casserole, chicken, easy weeknight, kids, Minnesota by Alice Seuffert. Bookmark the permalink.